BMW Original, Latest version Master KeyFob for F series cars with optional internal Key Blade, Cut and Coded as Original Master Key by BMW headquarters. Key will be exact duplicate from BMW factory with Original BMW embedded transponder ignition Lock chip and Remote. (Same key as originally provided with new car delivery). Some BMW keysfob types vary slightly from photo. 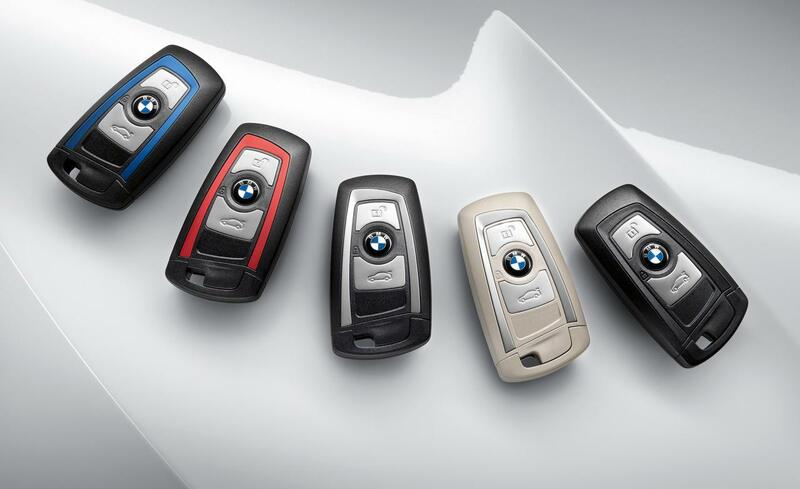 Contact us for any questions on your BMW KeyFob needs. Key will be shipped pre-programmed for your specific cars ignition immobilizer code (EWS Immobilize/CAS programmed) by BMW Headquarters. Please email us to confirm pricing on your specific key providing us with the last 7 digits of your Vehicle Identity Number, VIN to verify which key is required for your Specific BMW. With the old keyfob and new keyfob in the car, take the new key fob and hold it against the marked spot on the side of the steering column (low battery key mark location) and then start the car (working key fob is needed). The idrive display screen will immediately pop up with a request to name the profile associated with the new key fob. PLEASE NOTE: If you have trouble, take the old key far away from the car, hold the new key against the spot until the car recognised the new inactive coded key, have someone bring the old key to the car, start the engine. 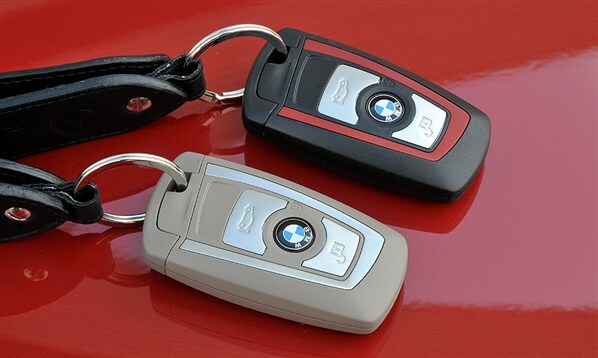 We can get BMW Keys and Keyfobs for other BMWs as well. Please contact us for details.